Meet our lovely couple – Julie & Tom – who live in Maryland, USA. 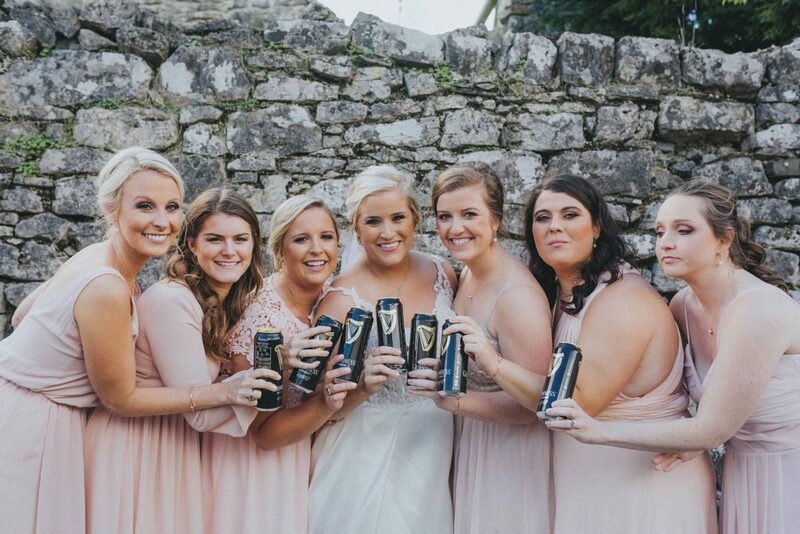 They wanted to tie the knot with a splendid destination wedding in Ireland and invited lots of their friends and family from all over the USA to come and join their celebrations. 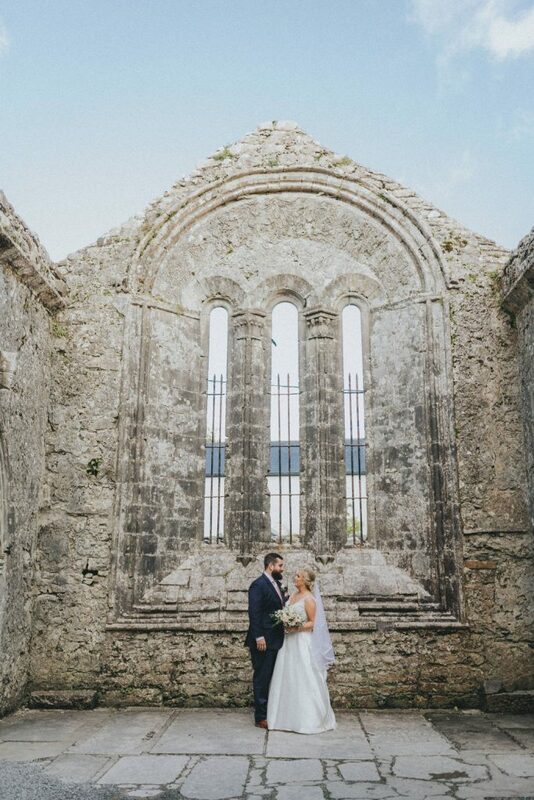 Read on to see how ‘They Celebrated An Amazing Wedding In A Rustic Irish Way’! 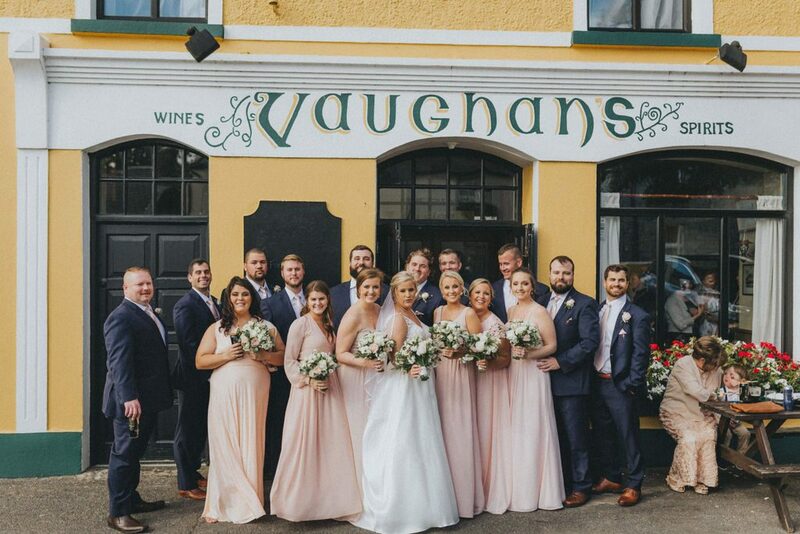 The wedding festivities kicked off with an intimate rehearsal dinner followed by a welcome party in the local Ennis pub “Brogans” with live music, dance and fun into the early hours. Although rumour has it the bride was back at her hotel by midnight! 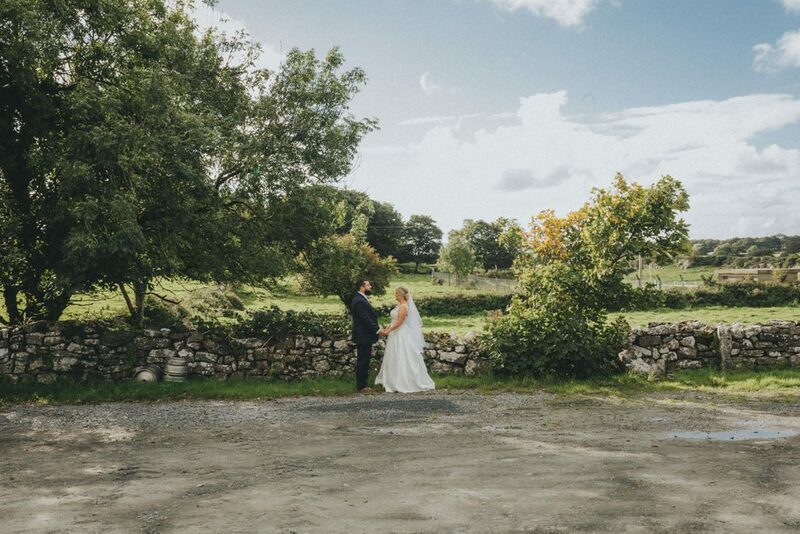 What was most important to the bride and groom was to experience a country setting and the rolling landscapes of Ireland on their wedding day. 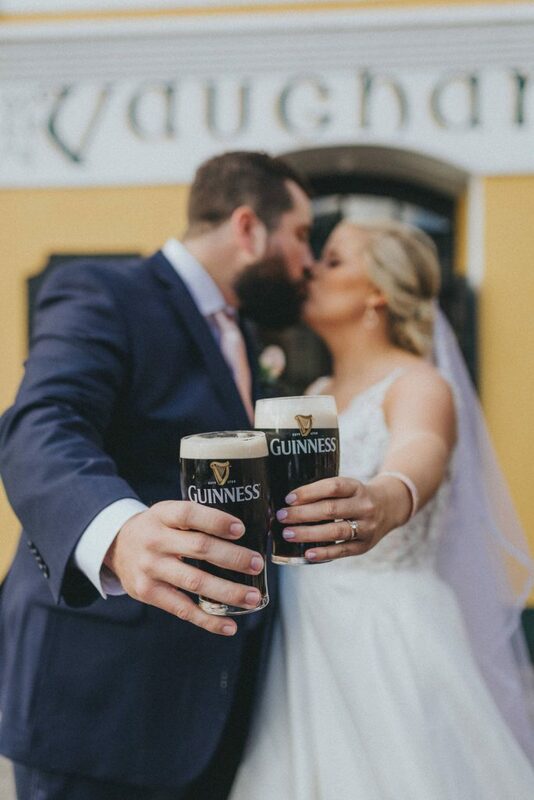 They wanted to create a most memorable day for their guests with lots of fun, dancing, great food & Guinness! 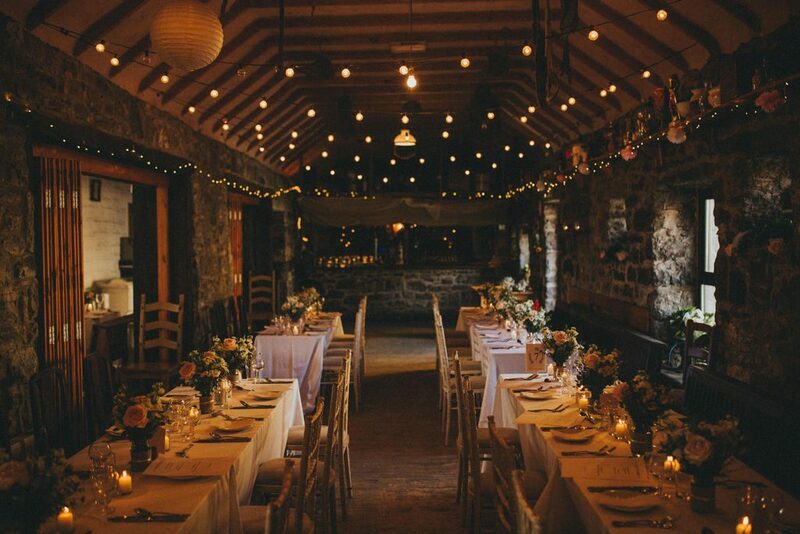 Opting for a Rustic Chic /Country style they decided to hold the reception in an Irish country pub on the Wild Atlantic Way, world famous “Vaughan’s Kilfenora”, Co. Clare. 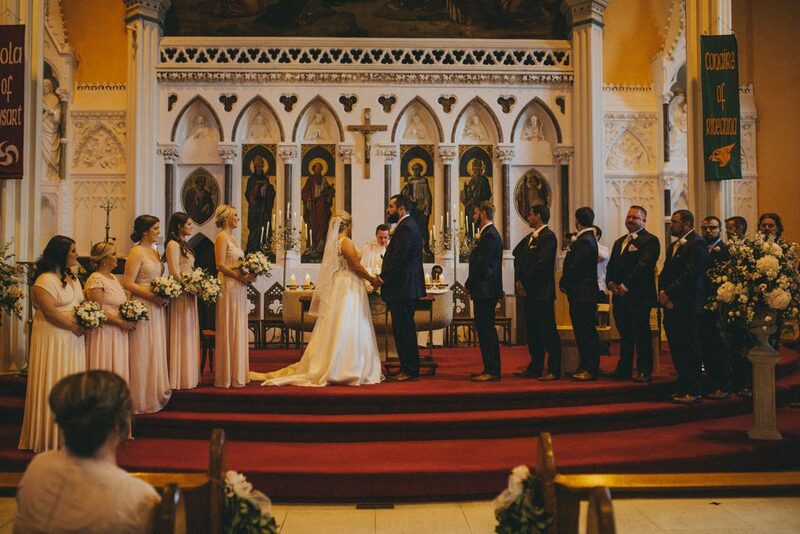 While the beautiful ceremony had a much more formal setting in the splendid Cathedral in Ennis. 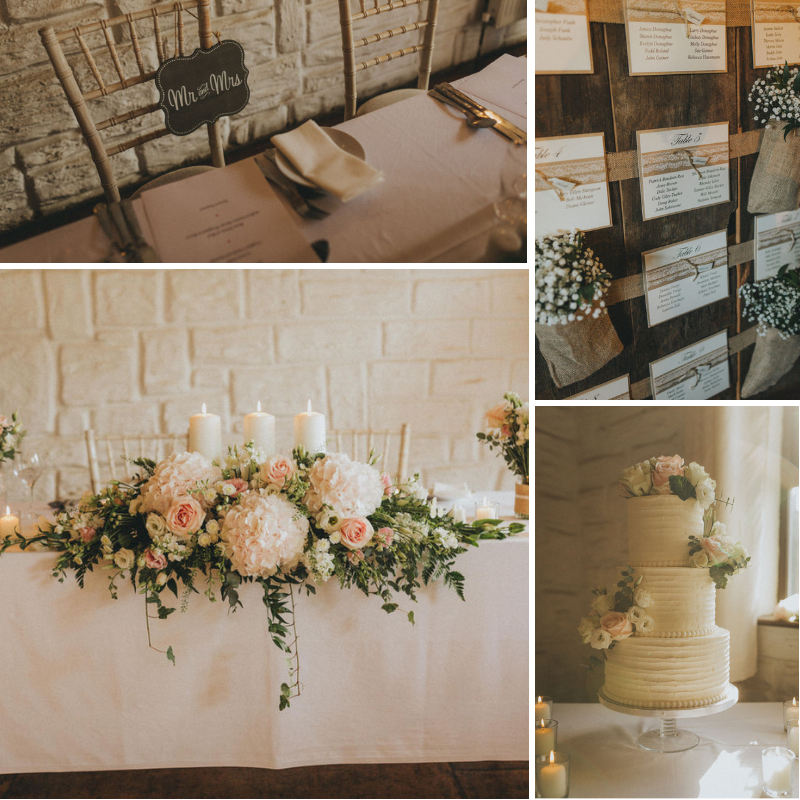 The theme was completed with a blush pink, pure white & ivory colour palette. Incorporating loving memories of her Dad during her big day was important to the bride. She especially made sure to think about him as she laid a rose on the seat he would have sat in during the ceremony. 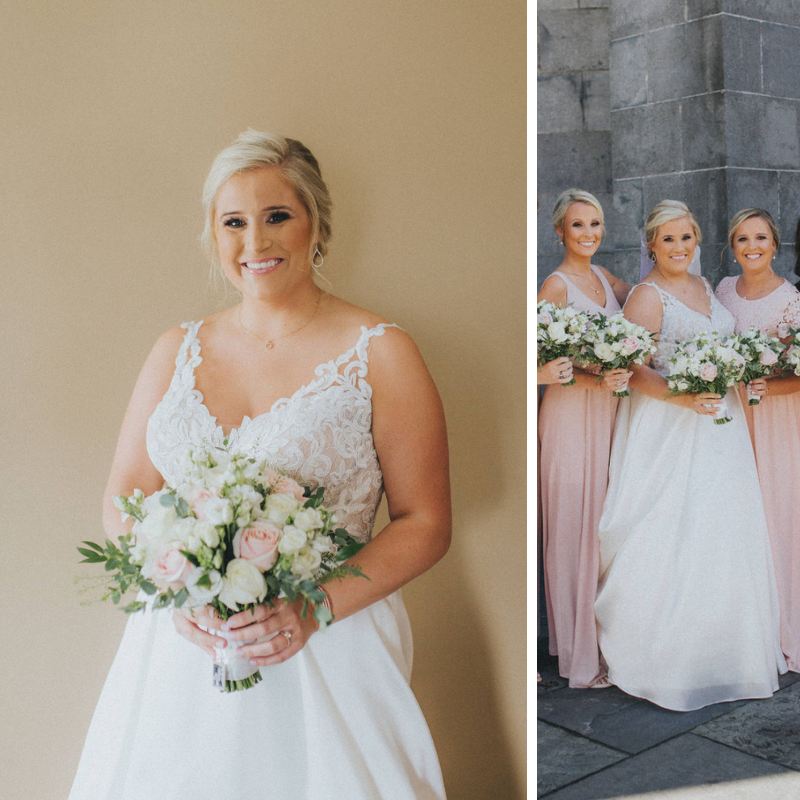 The stunning Bride wore an ivory gown with sparkling lace appliques at the bodice and a flowy skirt with train by Hailey Page. 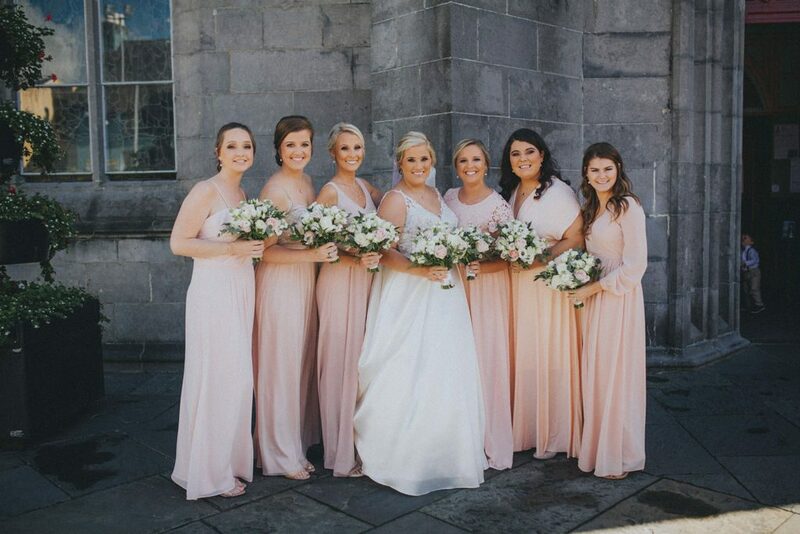 Fabulous mismatched full-length dress in blush colours were worn by the bridesmaids. 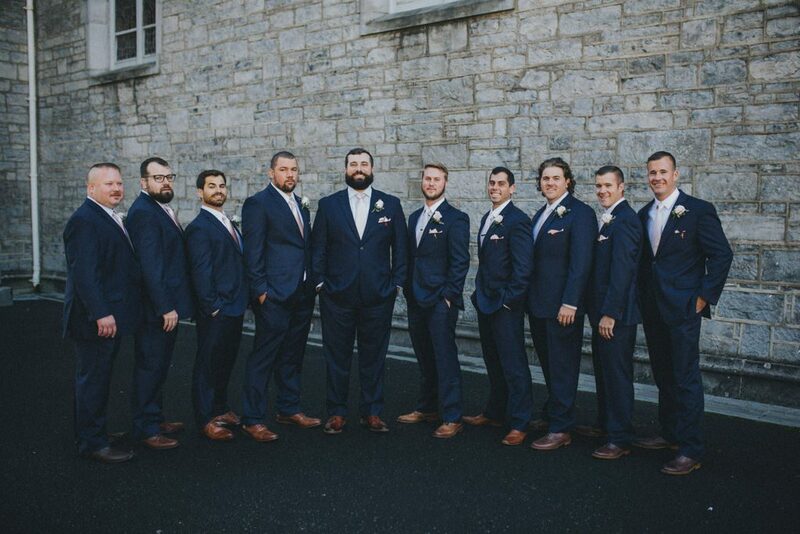 The Groom and his groomsmen all matched in tailored blue suits with a hint of blush in their pocket squares and boutonnieres. 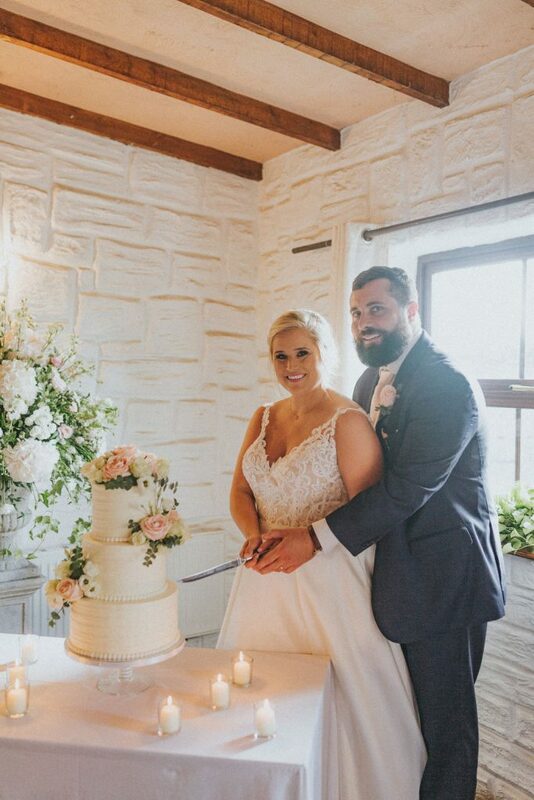 Dinner was held in an informal family style with a delicious ice cream cart & the stunning wedding cake adorned with blush florals for dessert. The group danced the night away to 5-piece band followed by a DJ into the early hours. 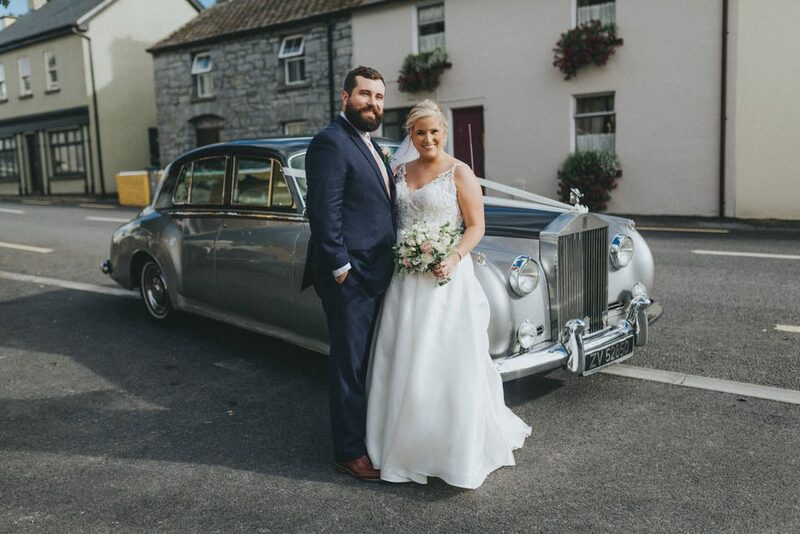 We loved how They Celebrated An Amazing Wedding In A Rustic Irish Way and wish Julie & Tom a lifetime of happiness, joy and laughter!